Henryk Orenstein (b. 1923) was born and raised in Poland. He survived five concentration camps during the Holocaust (losing both parents and two of four siblings), and settled in the US afterwards. Orenstein’s first job paid him 85 cents an hour. One day, he saw a doll being sold for a whopping $29.95, and knew he could make a better and cheaper doll. Orenstein pitched his new design – with a $9.99 price tag – mainly to grocery stores instead of department stores. The dolls quickly became a huge hit, and made him $2 million. 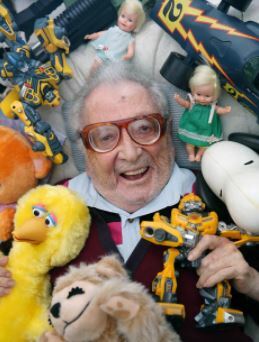 Orenstein started his own toy company, Deluxe Reading (or Topper Toys, as it was more commonly known). The company went on to produce the famous Suzy Cute and Dawn Doll lines, as well as the hugely successful Johnny Lightning model cars, and many Sesame Street toys. Orenstein’s New Jersey factory soon employed 5000 people, all of whom admired their boss, and once talked of him running for president! By 1972, the company went out of business, but Orenstein was still inventing toys, filing patents, and pitching new ideas to larger toy companies. In the early 80s, Orenstein discovered a new, little-known Japanese toy, a transforming car, and saw the huge potential behind it. He managed to convince American toy giant Hasbro to bring these “Transformers” to the US, and the rest is history. 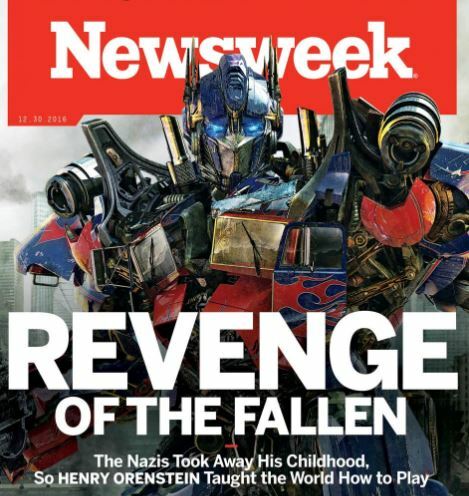 Transformers became a worldwide phenomenon, with comic books, video games, 40 toy collections, multiple TV shows, and a series of blockbuster films (the fifth installment – The Last Knight – hits theatres this week). Year after year, Transformers are Hasbro’s best-selling toy line, and have been credited with keeping the company afloat. Meanwhile, Orenstein fell in love with the game of poker. He once sat down to watch the World Series on TV and was totally bored by it. This led him to his most famous invention: the hole-card camera. Orenstein patented a table which had cameras built in under glass panels to allow TV viewers to see the poker players’ cards. Poker officials rejected his idea, and it would take another seven years until Orenstein successfully convinced one executive to use the hole-card camera. Debuting in 2002, Orenstein’s table revolutionized the game, and much like Transformers, made poker a worldwide phenomenon. One NBC exec admitted that Orenstein is “single-handedly responsible for the success of poker today.” Orenstein has himself won over $200,000 in poker tournaments. He also produced the Poker Superstars Invitational Tournament, and the High Stakes Poker TV show. He was inducted into the Poker Hall of Fame in 2008. All in all, Orenstein holds over 100 patents, has published two books, and is a noted philanthropist. He has donated millions of dollars to various causes, and has built subsidized housing for the poor in New York and in Israel. He has been known to personally pay rent and medical bills for thousands of people in need, including many Holocaust survivors. Now in his 90s, Orenstein still plays poker three times a week with his friends. Pessimism is a luxury that a Jew can never allow himself. This entry was posted in Business & Finance, Science & Technology and tagged Dawn Doll, Hasbro, High Stakes Poker, Holocaust Survivors, Inventors, Israel, Johnny Lightning, NBC, New York, Philanthropists, Poker, Poker Hall of Fame, Poker Superstars Invitational, Sesame Street, Suzy Cute, The Last Knight, Toy Inventor, Toys, Transformers, World Poker Tour on June 21, 2017 by Jew of the Week.